I layered two pieces of the Festive Farmhouse Designer Series Paper together, on a Crumb Cake Cardstock panel. After adding a strip of Striped Burlap Trim (attached with two staples), I adhered the entire panel to the Cherry Cobbler Cardstock base. On a small piece of Very Vanilla Cardstock, I stamped the house (with Cherry Cobbler), the trees (with Mossy Meadow) and the stars and smoke (with Gray Granite). I also added some speckles with my Crumb Cake Stampin’ Write Marker. (I flicked the wide end of the marker on the edge of the marker cap, and aimed it towards my paper to create the speckles.) 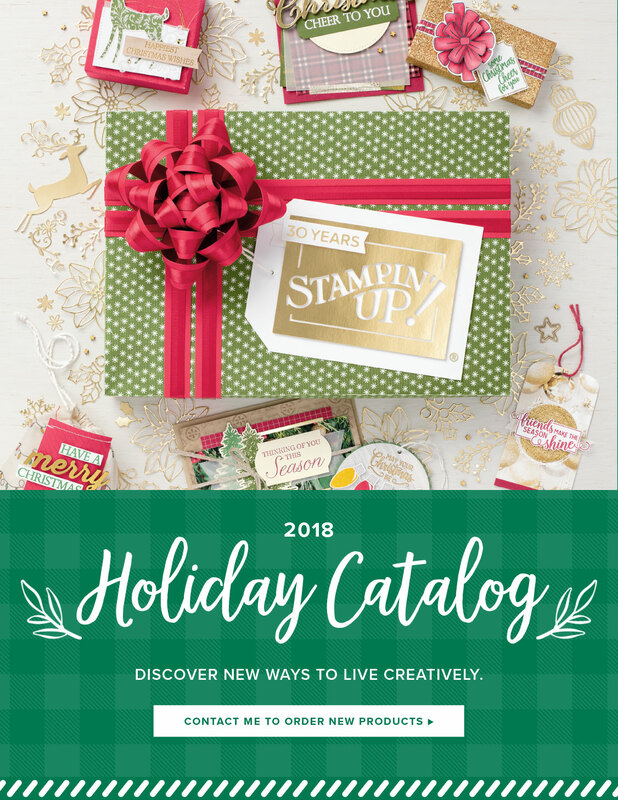 After I layered it with a piece of Cherry Cobbler Cardstock, I added a piece of Festive Farmhouse Cotton Twine, and popped it up with a few Stampin’ Dimensionals. The sentiment was heat embossed (with a Versamark Pad and White Stampin’ Emboss Powder) on a piece of Wood Textures Designer Series Paper. 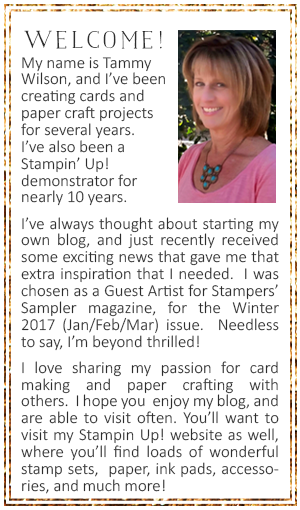 After cutting it out, I popped up the sentiment with a few Mini Stampin’ Dimensionals. For those last little details, I added a Galvanized Clip, and sprinkled on a few Gold Metallic Pearls.